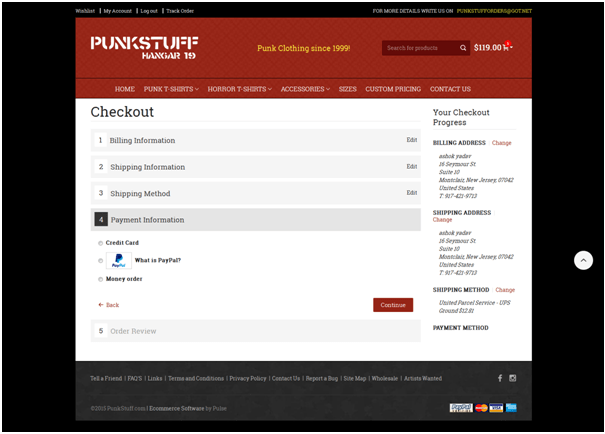 PunkStuff.com is one of the most successful Punk garments selling websites. 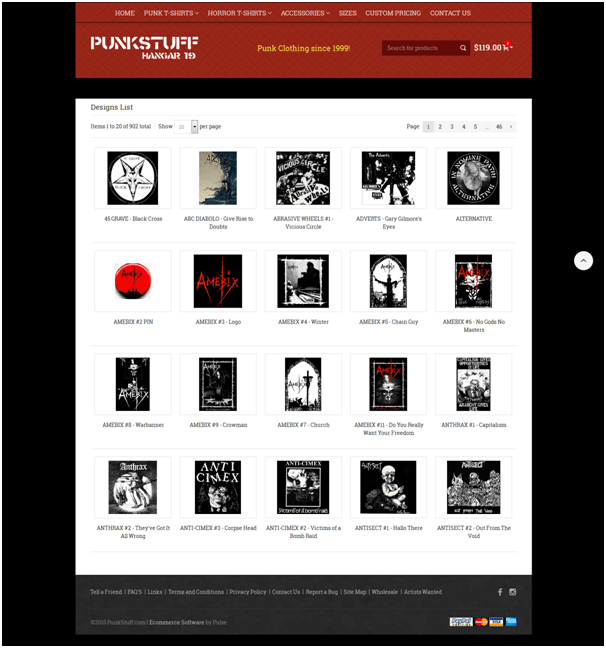 Online from over 9 years this website is one of the first few that started selling online. Over the years the software has been changed over and over again to accommodate a growing business. The corporation contacted Pulse in September 2008 to evaluate their processes and suggest a system that would help them manage the increasing volume of business and make their website search engine friendly. 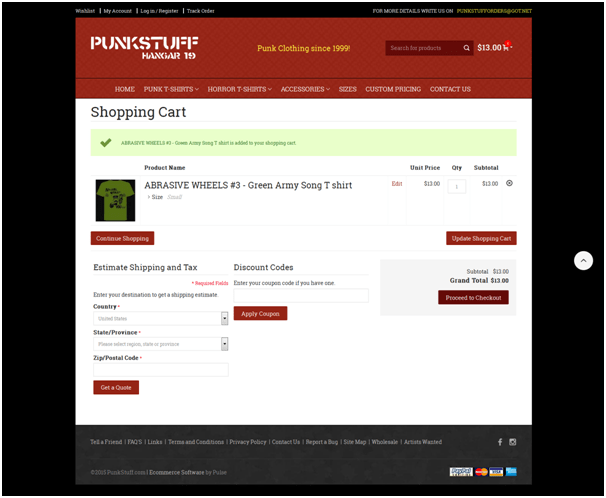 Pulse custom ecommerce components matched perfectly with the scalability and flexibility PunkStuff.com needed. 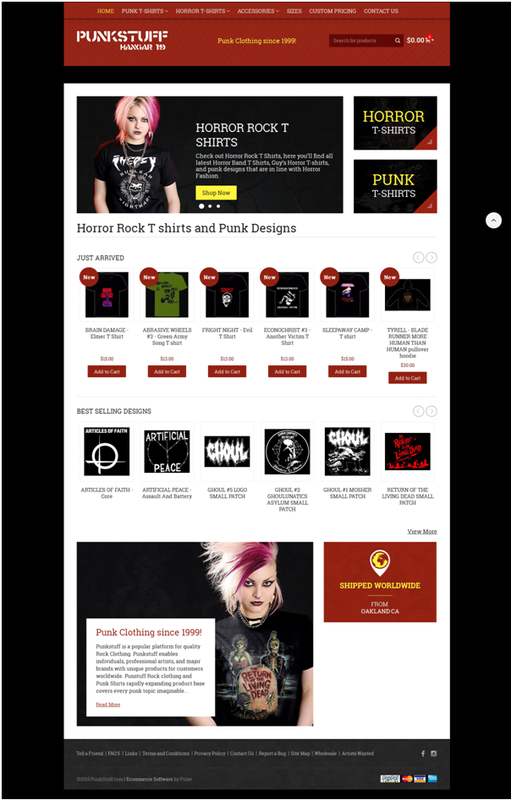 Pulse engineers ported the complete website including all of the site data, products, members and orders into the new ecommerce software that is 4 times faster and dramatically more user-friendly. Search engines absolutely love the unique urls and the hand crafted tags. 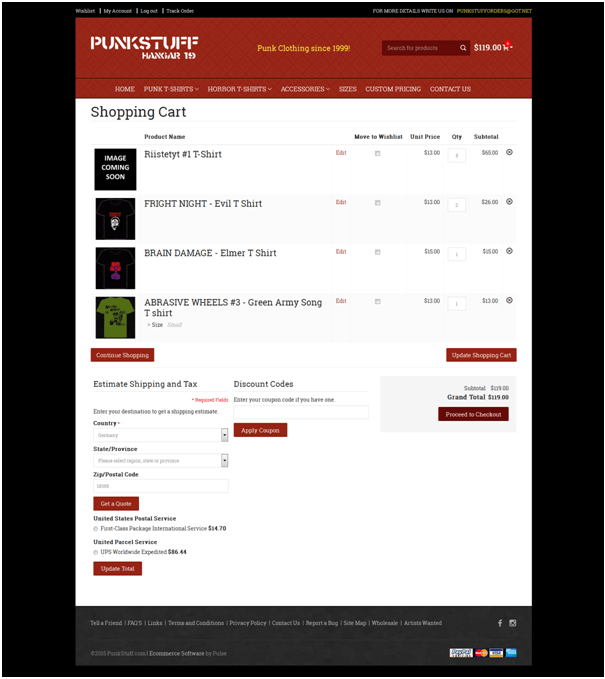 The first few days of sales have proved this fact again, Pulse ecommerce software delivers immediate results! If you are in the market for an ecommerce solution feel free to call us for a free consultation. What Obama Means to Me? - express yourself at www.whatobamameanstome.com!